Picturing Disney: Hidden Mickey Challenge Contest & Giveaway! I recently picked up some new Disney books to wet my palette while I plan a trip that is tediously far away. In my mini stack (which included the Birnbaum's Dining Guide 2012 and Pat William's How to Be Like Walt) was the newest edition of the Steve Barrett's Hidden Mickey's books! Wow was I blown away! Sure the description says over 200 new Mickey's but these were some great ones that I am itching to go check out! It got me thinking... what about having our very own hidden mickey contest that incorporate both this incredible book series and my love of Disney pictures?? 1. 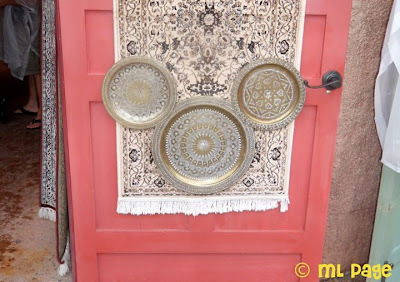 Email your best Disney Parks hidden mickey picture to picturingdisney@gmail.com and with your attachment include how you would like your name viewed (Maybe a nickname or something like "Melissa P. from New York" to be internet safe.) Also include where your Hidden Mickey is located in the parks You will have about a week to send pictures from today until midnight January 31st. 2. On February 1st, head over to our Facebook page where you will find the "Hidden Mickey Challenge 2012" album. Guess where each Hidden Mickey in the album is located. In the evening on Friday, February 3rd I will announce via the Facebook page that the contest is closed and tally the number of correct answers. If your photo stumped the most people YOU WIN! 3. There may be other small prizes for things like the person who guesses the most correct or the person who guesses a particularly difficult one right so keep your eye out! In any case, I am super excited about this and hope you all will join in the fun! Can't wait to see all your Hidden Mickeys!